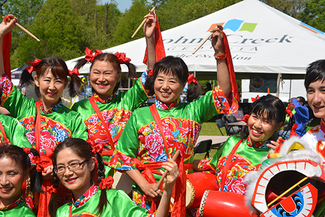 The City of Johns Creek will host its second International Festival on April 27, 2019, 11 a.m. to 8 p.m. The festival will include food, drinks, performance art, and vendors representing cultures from around the world. We are looking for volunteers to help with the festival, enjoy being outdoors, and love meeting new people! If that sound like you, please consider signing up today! Volunteers will help with tent/ space identification and check in early vendors. Greet festival guests, answer basic festival questions, pass out "Festival Passports." Will help staff at the main and secondary stage with run of show.